Early spring is the time for a variety of birds in our Delmarva region to find prime real estate for their nests. As you indicate, some birds migrate and return to the same location used for their hatching location. It’s incredible how accurately they find the exact spot their parents used after months of travel. The Cornell Lab of Ornithology gives the idea of posting multiple deterrents, not just one. For example, use a statue of an owl and another predator, and play recordings of birds in distress. This combination may deter even the most stubborn starling. Another example of this process was used by Vanderbilt University for its stadium, which was having problems with starlings. Recordings of birds can be found online, too, such as through Cornell University. Cornell’s Ornithology site offers hawk sounds and other vocalizations from predators, too, and can help you identify the type of bird that is choosing your home for its nesting site. It may also be helpful to find bird songs from predators and those in distress online through YouTube and other commonly-used sources, and set up a way to play this periodically to chase away any notion that your garage or location is a good nesting area. Another site, from the Migratory Bird Center, gives information about the differences of birds within each species and uses wrens as an example. Sometimes it’s helpful to understand more about how birds behave in order to safely and humanely solve such a problem. Our Delaware Libraries have books about identifying and understanding birds in our region, including “The Everything Bird Book; from identification to bird care, everything you need to know about our feathered friends” by Tershia D’Elgin. Another helpful book is “The Field Guide to Backyard Birds of the Northeast,” published by Cool Springs Press (2008). 1. Audubon Society of North American has extensive information about birds, their behaviors and migrations. 2. A basic but informative Teacher’s Resource from Carolyn Sedgwick of Cornell University gives highlights about bird migration and resources for further exploring. Thank you again for your excellent question and good luck with your bird situation; let us know if we can help further. We appreciate your service, and your support of our libraries and please feel free to contact us again anytime you have questions or need information, in person and online. Happy birding! Happy Earth Day! It is celebrated every April 22! Earth Day has evolved a bit over the years. According to the Earth Day Network, April 22nd “marks the anniversary of what many consider the birth of the modern environmental movement in 1970.” It began as a way to focus upon and learn about the environment around us and our impact, and to work on ways to help sustain and nurture our planet. As mentioned on History.com, Earth Day is now celebrated around the world. It also marks the beginning of the U.S. Environmental Protection Agency. In the spring of 1970, Senator Gaylord Nelson (Wisconsin) saw the establishment of April 22 as Earth Day as a way to force this issue onto the national agenda, largely because of his efforts and the millions of Americans who raised their voices in support. As recounted on the EPA’s site, “In December 1970, Congress authorized the creation of a new federal agency to tackle environmental issues, the U.S. Environmental Protection Agency.” The Clean Air Act and Clean Water Act soon followed. You might enjoy the NBC’s Special Correspondent Tom Brokaw created a visual summary history about Earth Day, which is freely available on Hulu (an online video sharing site). Mr. Brokaw highlights Senator Nelson’s move toward an Earth Day during a period of time in U.S. history when pollution was beginning to have devastating effects on nature. Further statistics and facts can be found on InfoPlease including a list of biographies of others who were instrumental in this movement, such as Rachel Carson (who wrote “Silent Spring” which is “generally acknowledged as the impetus for the modern environmental movement”). 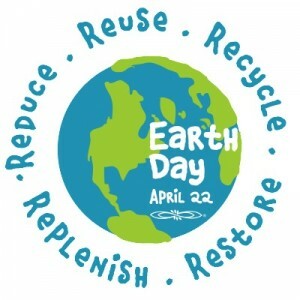 The Delaware Library Catalog has a vast array of library items from books to DVDs about Earth Day, for all ages. These include histories, biographies, and things you can do. If you have questions about events or need more information about environmentalism, going green, and topics related to Earth Day, please feel free to drop by our libraries or chat with us online. We love your service and support of our libraries! 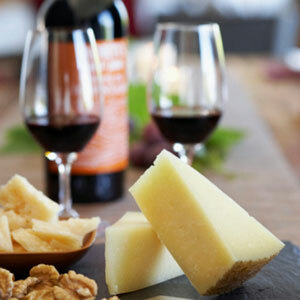 There are several resources that discuss the flavors and pairings of wines with particular cheeses. Let’s start with some reputable magazine articles that are freely available online. 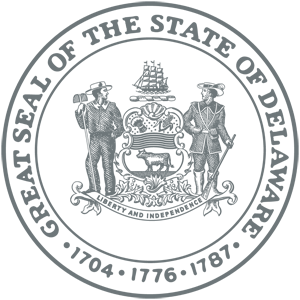 Wine Enthusiast Magazine (and online catalog) offers expert opinions from editors and wine-tasters from around the globe. The “meet the editors” page gives information about who is involved in the companies’ articles and advice. Here is a direct link to Wine Enthusiast Magazine’s article about pairing cheeses with wines. This article includes a table listing cheeses by name, and recommendations for which wine to serve. They also give a brief summary of cheese and some helpful tips for creating a wine and cheese party. Click on “Magazines” (you may be prompted to log in, if you have not done that already, with your 14-digit library card number and PIN). In the MasterFile Premier search box, type in “wine and cheese pairings” without the quotes, and press enter. Once the results come up, you can limit your findings – look on the left side of your screen for limiter options. It’s very helpful to select “full text” to make sure you have the full article. When I processed this search I came up with 23 items; some offer party planning tips, give listings of cheeses that go with certain wines, and other pertinent considerations. You can also save and print articles to take to the store with you! 1. 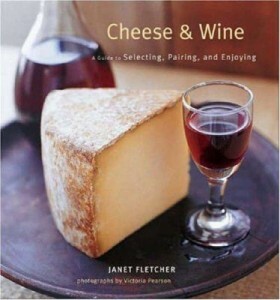 Cheese & wine book : a guide to selecting, pairing, and enjoying by Janet Kessel Fletcher (2007). 2. The all American cheese and wine book : pairings, profiles & recipes by Laura Werlin (2003). These and more are found through our Delaware Library Catalog. Simply put in “cheese and wine pairings” (without the quotes) as a starting place for your search. Many other books and resources came up in the results list. You can place a hold on items and have them sent to the library that is most convenient for you. We hope this completely answers your question; please feel free to ask us anytime, in person and online. We truly appreciate your service and support of our Delaware libraries and we hope you have a great party!